These images represent one of the happiest days of travel Kathryn and I have experienced together. We had just arrived the night before from Dubai and our internal clocks were left somewhere over Turkey from the flight from the US the day before. We met our assistant, Matthew, and explored Thrissur starting at about 5:30AM. By 7AM preparations for the festival were underway at nine separate temples around the city where elephants were adorned, blessed and began to slowly make their way toward Koorkanchery for the Thaipooyam Mahosatvam festival celebrations. 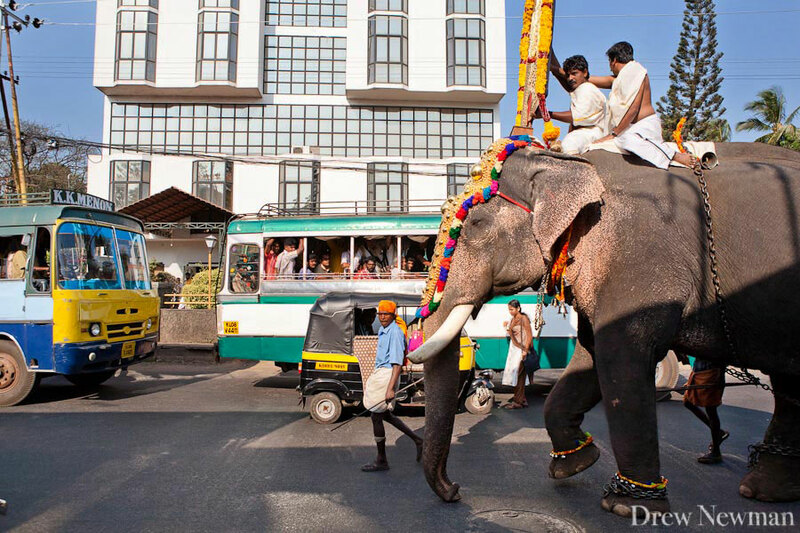 So imagine, NINE elephants converging on 2 lane streets during morning traffic toward a temple courtyard filled with a few thousand devotees of all ages. As the elephants advanced, they were accompanied by men from each of the temples playing music and stopping in front of businesses to receive offerings and bestow their good presence as embodiments of Ganesh, the remover of obstacles. In particular, I loved the various groups of men playing horns. The raucous, joyful energy is hard to describe and I will post a video clip in the images later. Matthew kindly got us into the media balcony above the temple courtyard where Kathryn perched while I ventured down into the most amazing musical mosh pit of celebration I have ever experienced. When people saw me with my camera, they gently pushed me closer and closer to the action, wanting me to get the best shots. 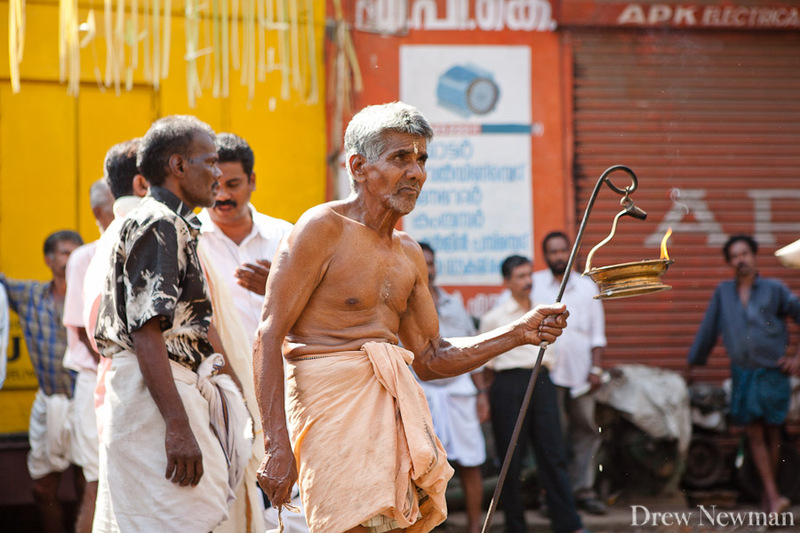 When I dream of traveling back to Kerala, these images take me back like no others can.